Click here and it will take you to our DonorDrive account where you will be able to register for our event. Click on the "Register Now!" 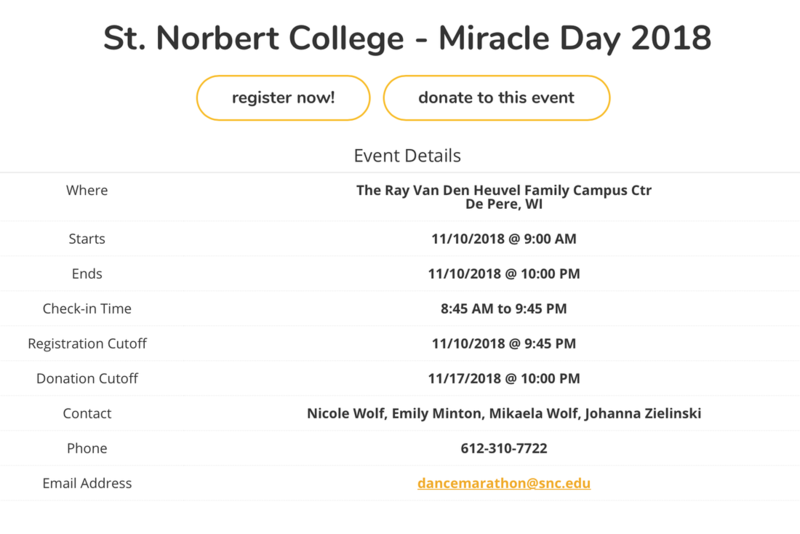 button, located at the top left of the screen, right below "St. Norbert College Dance Marathon". 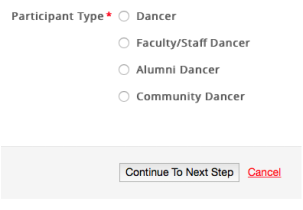 Select the type of participant you are registering as. From there you may choose to register as an individual, join a team, or create a team. If you choose to join a team, search for your team name and click on it and continue. If you choose to create a team, make sure to have a team name ready to go! Type the team name and continue. 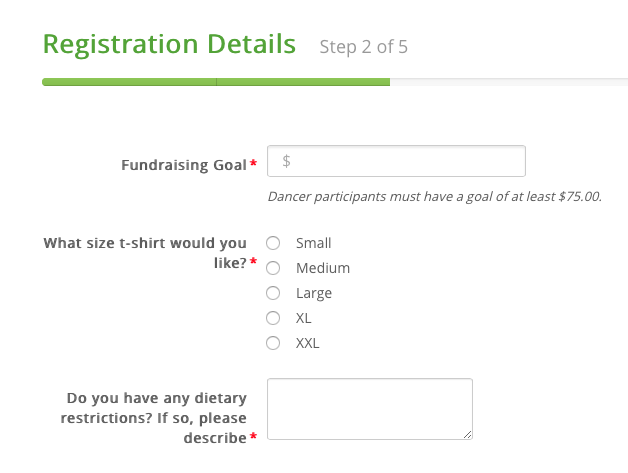 Fill out your registration details, including your fundraising goal*, T-shirt size, dietary restrictions, and whether or not you are participating in honor of a loved one. Decide whether or not you would like to make a donation at this time. If you decide to make a donation, fill in the billing information when it pops up. Review your information and complete your registration! Fundraise, fundraise, fundraise FOR THE KIDS and we will see you at the event on Saturday, November 9th at 9am!